When it comes to disposing waste, it has become clear that dumping rubbish into landfills is not a long term solution. Environmentalists have recommended that that we must discover better ways to manage how we deal with waste. One way to minimise the amount of waste in landfills is by recovering usable resources via recycling. As a society, we all have a part to play to reduce the collective carbon footprint to minimize global warming. As individuals, we should play an active role to ensure that we properly dispose waste and sort rubbish for recycling. Sorting rubbish for recycling can be a daunting task and without a proper system in place, waste products get strewn all over which can make your home look untidy. To make it easy for you to sort rubbish for recycling, it is best to avoid doing it at the last minute. Do not let your rubbish pile up before you sort it. Invest in different bins to allow you to sort rubbish easily in different categories. You can start by having a separate bin for usable resources like bottles, glass and metal just to mention a few. The next bin can be for waste that cannot be recycled. You need to also have a separate bin for food and garden waste. Every evening as you clear rubbish around your home, ensure that you separate the rubbish and place different waste in proper bins. Rubbish can pile up at a very fast rate in your home if you don’t have a proper system in place to dispose of your waste. When rubbish piles up in your home, you will be exposing yourself and your family to health hazards. One way to ensure you avoid rubbish pile up in your home is to hire a professional company specialised in rubbish removal services in Perth. These companies have specific days they collect all the rubbish and safely dispose of the waste. Ensure that on collection days, all the rubbish in your home is put in bins and safely packed. If you have bulk items that you need to get rid of like large electrical items, bed frames and furniture, you don’t have to wait until rubbish collection day to dispose them. 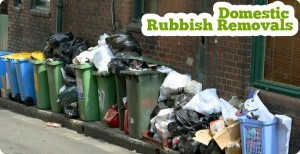 Call your rubbish collection company to remove all the bulk items that need to be removed. For convenience, most people place smaller bins strategically in different areas of the house to keep their rubbish. You are recommended to keep these to a minimum and have one central bin point in the house before you take it out outside. At the central bin point, have separate bins for waste, recycling and for food. If your home has a yard, perhaps you are planting flowers to increase the aesthetic appeal of your home’s exterior. To ensure that your plants grow healthy, you can set aside a small part of your yard to create a compost pit. Here, you can dispose all the perishable waste from your kitchen to make manure. In turn, you can use this manure to nourish your flowers and any other plants you have growing in your yard. This reduces the amount of rubbish that piles in your home and it is an environment-friendly way to recycle waste. Different cities in Australia have different rules and regulation when it comes to rubbish management. It is important that you learn these rules to ensure that you follow them to avoid penalties for non-compliance.